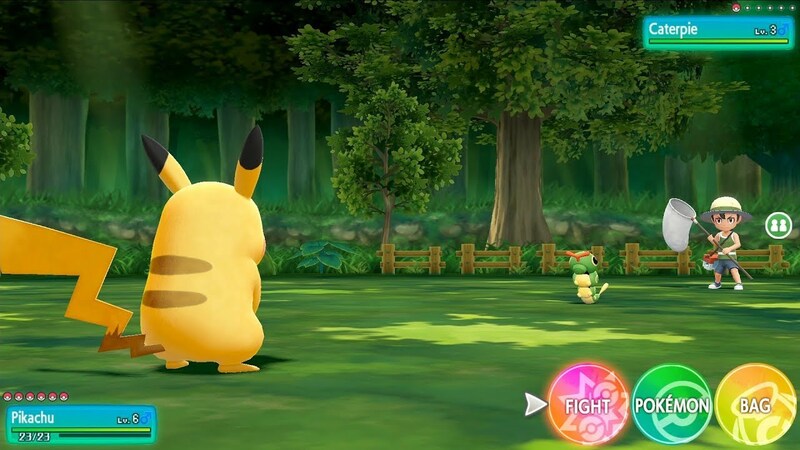 When Nintendo first unveiled Pokemon Let’s Go: Pikachu and Pokemon Let’s Go: Eevee prior to this year’s Electronic Entertainment Expo, the announcement was met with both excitement and confusion. 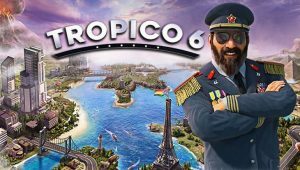 The series hasn’t changed all that much over the years, and while these are confirmed spinoffs, they change up core mechanics in the vein of Pokemon Go. We managed to get some thorough hands-on time with the game at this year’s E3. 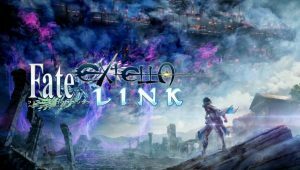 To be honest, we started playing the game with those very same concerns and confusion regarding the game and just how much like Pokemon Go it was, namely that wild pokemon battles were gone, it required an online component of some kind, and even that AI trainer battles were gone. I’m overjoyed to report that we were not only proven wrong, we were blown away by what we saw and played. 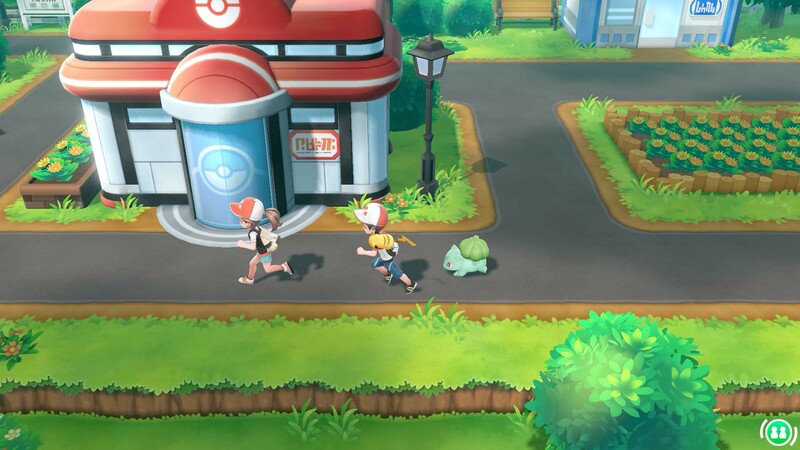 The short version is the game is essentially the world of Pokemon Red / Pokemon Blue, only wild pokemon battles are now entirely Pokemon Go mechanics, meaning you’ll be still running into those wild ‘mon but throwing pokeballs at them instead of battling them down. The Poke Ball Plus felt very solid and appropriately sized – it even vibrates, lights up, and makes noises when you catch wild pokemon! When we all got a chance at hearing a newly caught pokemon make a noise out of the pokeball, we were instantly sold. While I’m sad traditional wild battles have been replaced by this mechanic, it’s still quite fun. 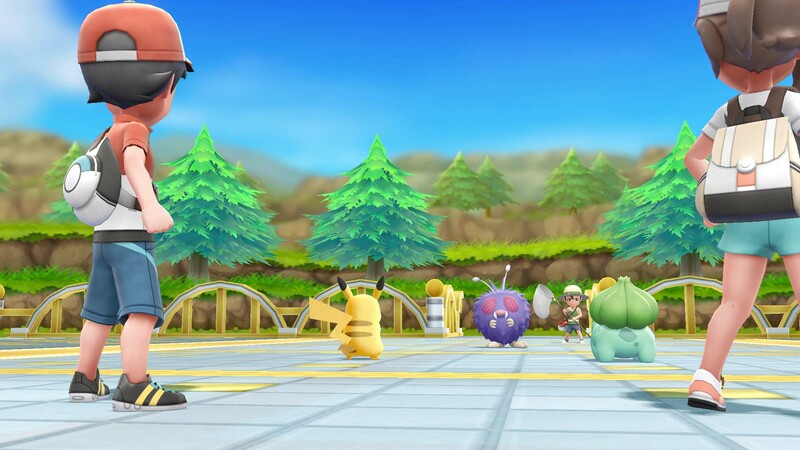 As you progress through the game, you’ll be able to still pick your six-pokemon squad and go out to battle random AI-based trainers and even gym leaders just like you could in the original games. I think this is very important to stress, because many longtime fans of the series (like us) were deeply concerned this was somehow not included. Your pokemon will all still gain experience from trainer battles (and wild ‘mon catching sessions) as they would in the original games, gain new skills and eventually level up or evolve. 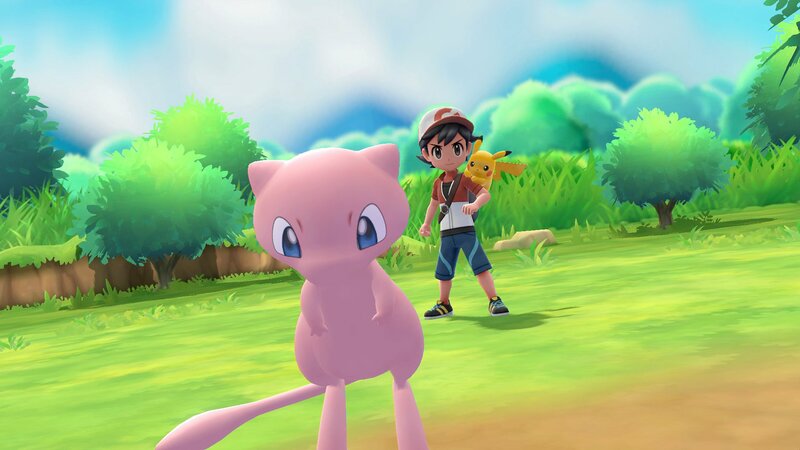 You can even take a single favorite pokemon out in the real world with you by storing it in your Poke Ball Plus. The more you walk or shake it the more experience and happiness the ‘mon gets. To go a bit deeper into the game’s online functionality: you’ll only be going online to battle or trade pokemon with your friends, which you’ll have to naturally add to your Nintendo account on your Switch. Furthermore, you won’t need to be online to just explore the classic Kanto region, albeit in a fancy new 3D-ish perspective. So, in essence, the only thing really missing here are the wild battles. While a number of people are probably going to look at the Joy-Con or Poke Ball Plus throwing mechanics and collectively sigh, it felt pretty natural and fun. I’m first generation Pokemon fan, so believe me when I say I was just as concerned hearing about this change – until I tried it out myself. I’m now 100% sold. One of the really fun immersion-type mechanics the game expands upon is letting your caught pokemon walk around with you on your adventure. While the games are obviously trumpeting the mascots Pikachu and Eevee, my all-time favorite is Blastoise. When I learned big ‘mons like him can not only be let out to follow you but can be rode around, I lost my mind. What I’m very interested in seeing is how much of these changes are going to apply to the next mainline Pokemon games. We all know developer Game Freak are very careful to not stir the pot too much when it comes to a formula that has worked for over two decades. However, some fans (like myself) are getting a bit burned out. I’m normally against gimmicks, but it just works here. 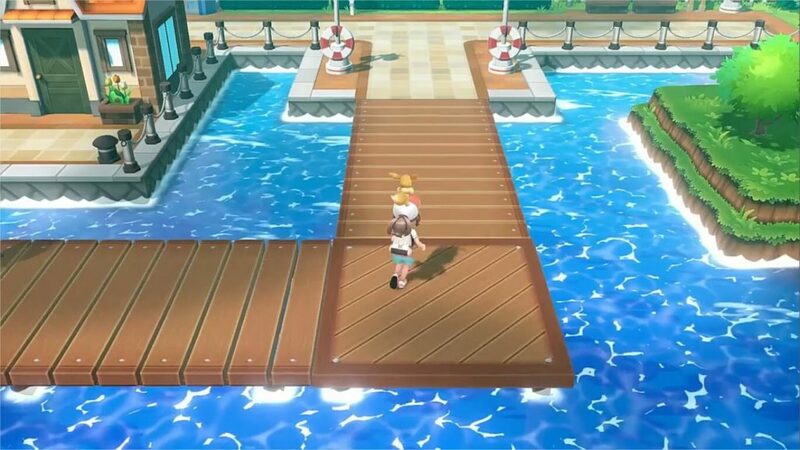 I’m personally excited to revisit the beloved Kanto region with a fresh new perspective and mechanics. 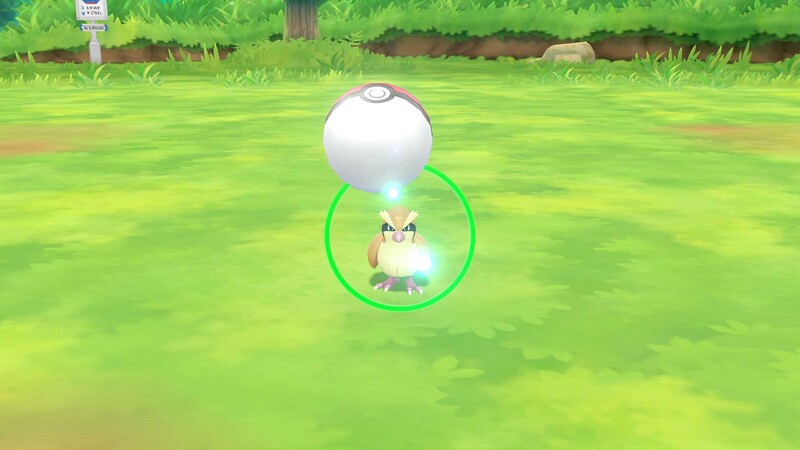 While I’m sad to see random wild pokemon battles gone, the concept of throwing a pokeball has existed since the premiere of the franchise all those years ago, so wouldn’t you agree this makes sense? Did I mention you can walk around with a ‘mon in your Poke Ball Plus? I went into demoing the new Pokemon Let’s Go! titles for the Switch with some reservations, and I (plus the other Niche Gamer staff) walked away completely sold on the game and the Poke Ball Plus. 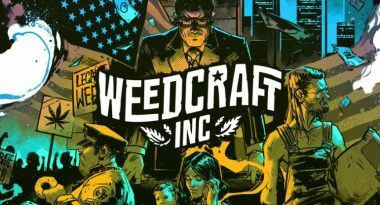 We’re all longtime fans of the series and had concerns, but thankfully they’re pretty much gone now and we’re excited for a new approach to the long-running franchise. Pokemon Let’s Go! Pikachu and Pokemon Let’s Go! Eevee are launching exclusively for the Nintendo Switch, on November 16th. In related news, the next mainline Pokemon game is in development, and will release sometime next year.